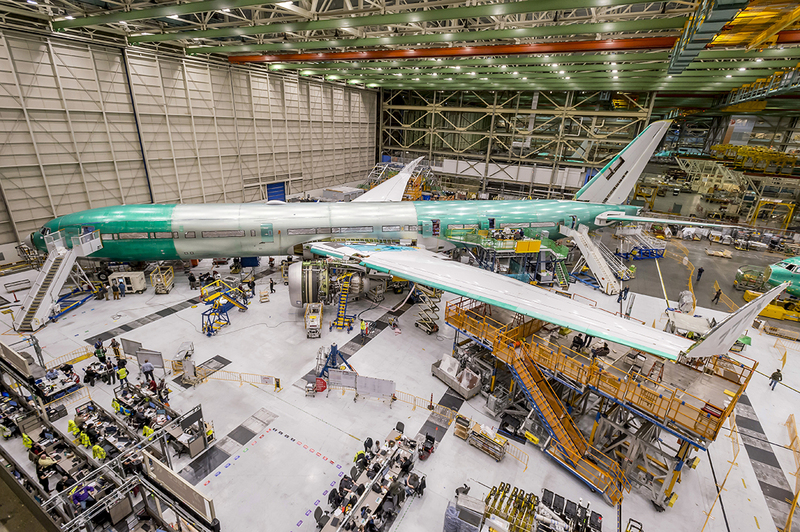 January 24, 2019, © Leeham News: Boeing will roll out the first 777X flight test aircraft mid-spring. The first aircraft, the static test airframe, was rolled out in September. Flight-testing should start in the early summer and first delivery is expected mid-2020. With certification and delivery 18 months away it’s time to look at the project and understand where the 777X positions itself versus the competition. The 777X achieves better fuel consumption per seat despite a larger and heavier airframe thanks to more advanced wings and engines. We compare its design to the 777-300ER and the Airbus A350-1000 competitor.